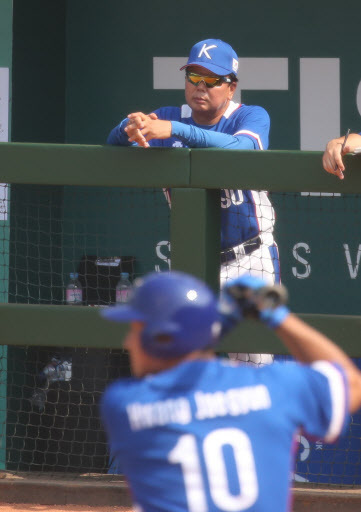 The state anti-corruption watchdog will look into allegations that national baseball team manager Sun Dong-yol violated the anti-graft law by picking underperforming players for his Asian Games team to give them military service exemption chances, officials said Friday. A civic organization has filed the allegations with the Anti-Corruption and Civil Rights Commission, claiming that Sun's selection of some underperforming players amounts to giving them illicit favors because those players would get exemptions from mandatory military service if they won the gold medal at the Asian Games in Indonesia. The team did win gold, and the team members were given the military service exemption benefit. Officials at the anti-corruption watchdog said they will start looking into the case next week. The agency will first determine whether Sun is subject to the Improper Solicitation and Graft Act that is applied to public servants, teachers and private citizens carrying out official duties.